Visa is not the first credit card! 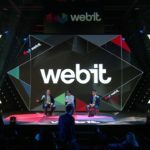 Maybe it’s no news for you, but for the majority of the audience of the Red Stage at Webit Festival, it certainly was. The one who made that revelation is the General Manager of Visa for Israel, Mr. Oded Salomy. 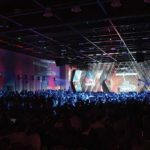 He had a keynote at last year’s edition on enabling the transforming world of payments. Visa is one of the names that probably need no introduction. “Visa” has become a nickname for our payment cards. So much, that people tend to there’s much more behind it than just a plastic for payments. Payments is such a vast area that it’s quite unpredictable what the future will bring. We never know what’s going to impact payments and the booming fintech industry. Everyday payments, business to business payments, business to customer payments and reverse.. Machines paying other machines rather than humans, biometrics being used in order to identify people by their biological characteristics.. All the way up to crypto currencies and tokens. New services, easier to work with and keeping a proper security level are needed by this ever evolving system. Numerous startups have been trying to be the next “big thing” that will shake the world of payments as the price of Bitcoin did some time ago. Wearables such as rings, bracelets, wrist-watches and keychains are becoming more than just accessories – there are already ones out in sale that can allow us to pay on the move. 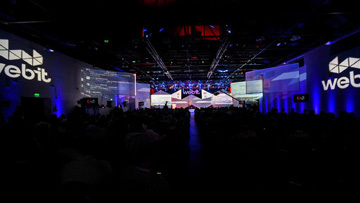 Another category that’s being impacted is the connected cars. With just an Internet connection we can pay for grocery, for gas, parking, insurance while going to work or some more without the need to get out of the vehicle. 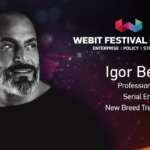 And last but not least, check the Webit.Festival website for upcoming speakers and our ticket options.